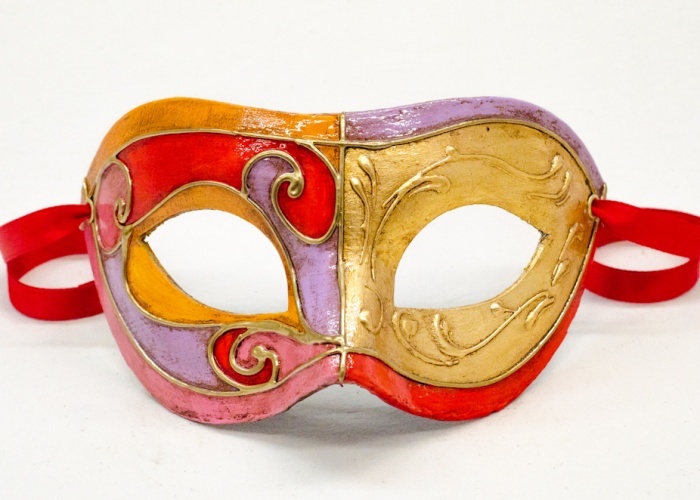 The decoration of this colombina mask combines the warm tones of antique pink, red, and violet with gold leaf. Different areas are outlined by a raised golden stucco. The colombina mask 'Rosy 2' is a good mask if you are looking for an effective disguise that is not too flashy.